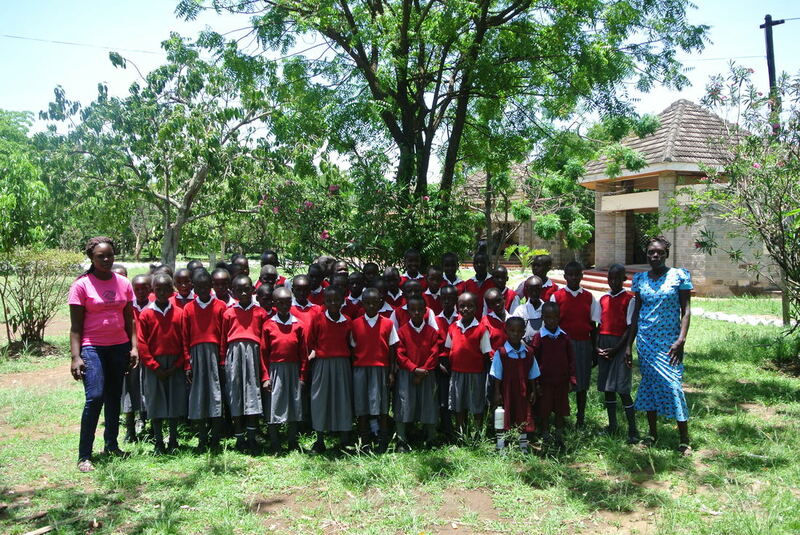 ** Guest post by Megan Sonier, Mama Hope Global Advocate at Akili Girls' Preparatory School. 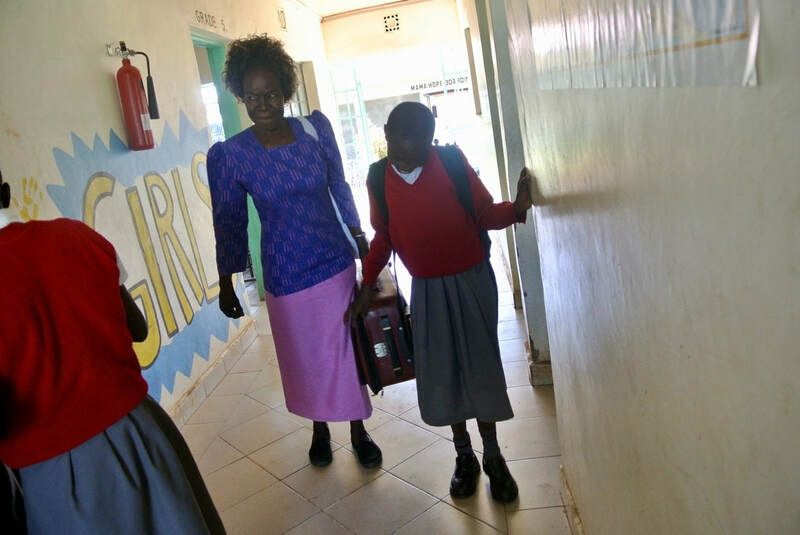 ​The beginning of April brings with it the end of the school term and the start of vacation for students throughout Kenya. Two weeks ago, we said goodbye to the Akili girls as they packed up their bags and headed home until classes resume in May. Parents had the option to pick up their child at any time from the Obambo Campus on the last Friday of the month. But, when I arrived to school that morning at 9 AM, I found that most parents were already there, embracing their girls with proud eyes and beaming smiles. 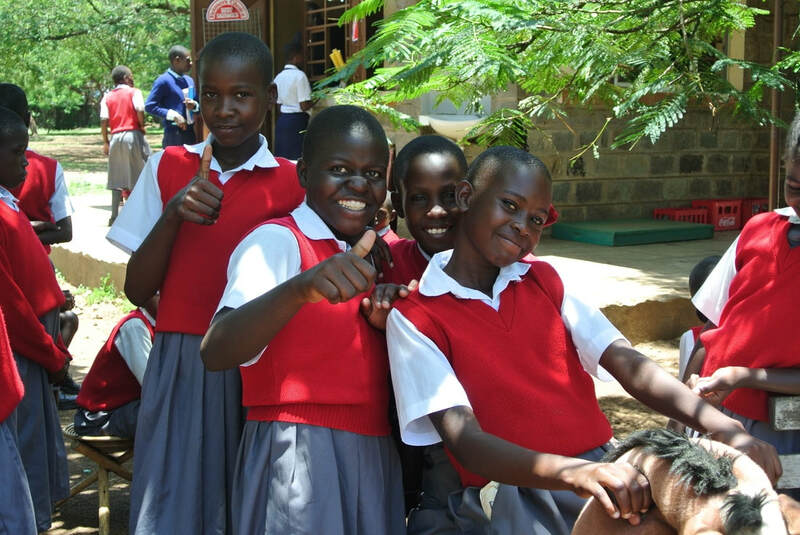 A few girls expressed to me that they were sad to leave Akili - they love their teachers, friends, and school - but I know that they are also excited for a little break from academics and time with their families. The girls worked so hard this term, so they truly deserve some time to relax! ​Unfortunately for me, it is rather quiet at school these days with them gone. There is a lot less laughter and singing to keep me occupied as I work in the office. So, since I am currently missing them dearly, I want to rewind back to a happy memory from the days before the girls returned home. After the term exams had ended, the girls had the opportunity to take a field trip to the Kisumu Museum, home to a wide variety of educational exhibits on Western Kenyan heritage and culture. Teacher Annette, who helped to organize the trip, said it best, it was so much fun to "break from the dormancy of sitting in class and move our pupils to learn from reality." The girls, you could tell, appreciated this break from routine as well. Our first stop on our museum tour was a round room that was filled with glass cases displaying various aspects of traditional Luo culture, and the girls must have circled the exhibit three times each at least! They had studied most of this information in their social studies classes earlier in the term, but now, they could see with their own eyes and touch with their own hands what they had previously only seen in their textbooks. This ability to connect their lessons to real life outside of the classroom was an invaluable experience. 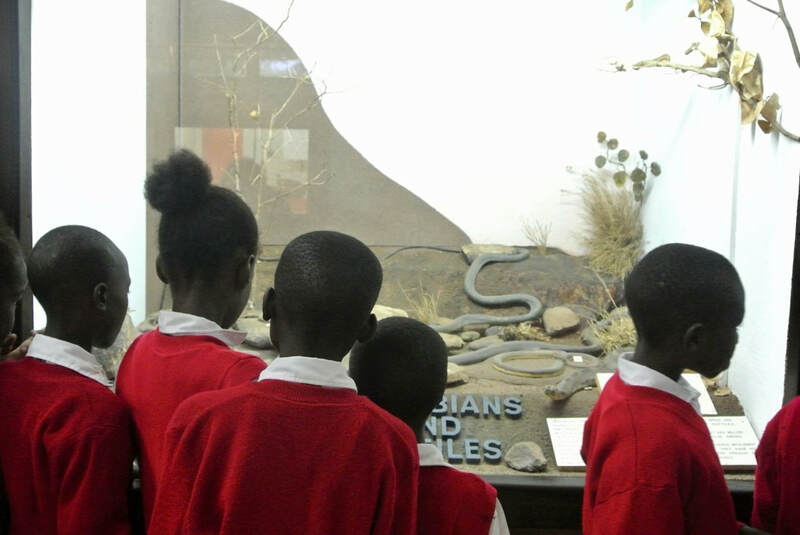 ​Other exhibits in the museum included a display of indigenous trees and crops, an aquarium with live specimens from Lake Victoria, various animal habitats (the girls loved to see the crocodiles and snakes! 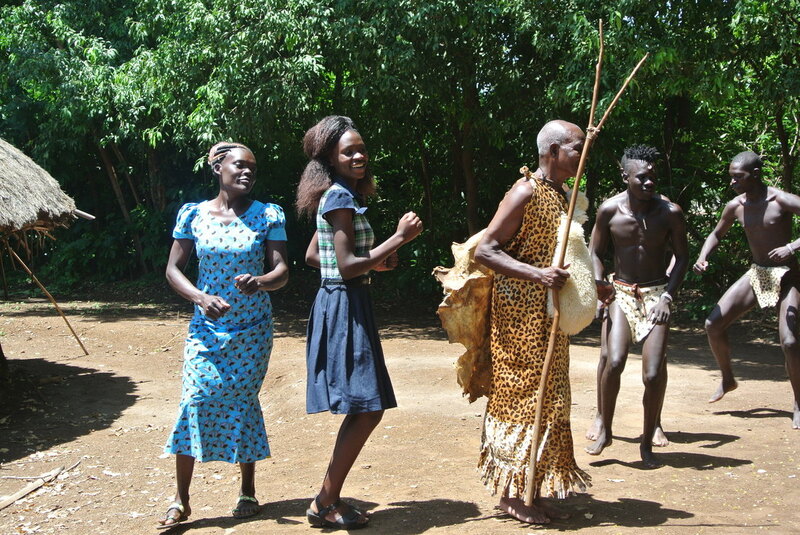 ), and a Luo homestead that was complete with historical actors dressed in traditional clothes, reenacting what life was like in Kisumu County many year ago. 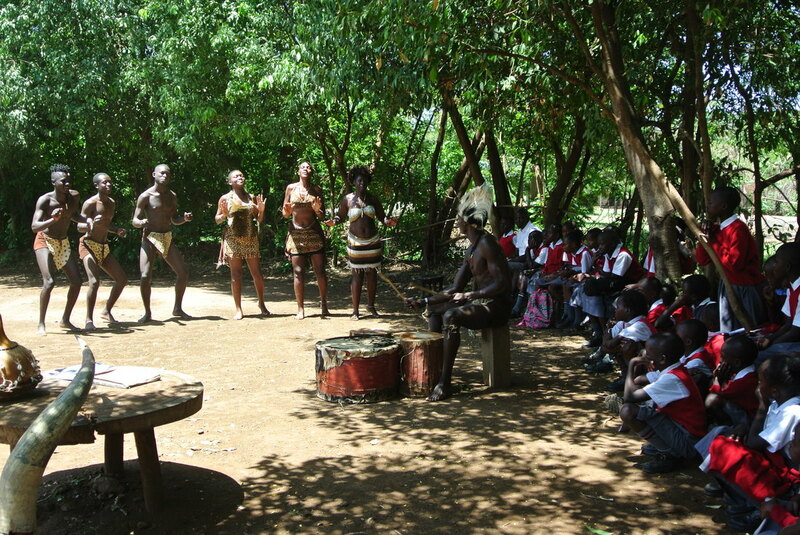 ​​At the end of our tour, we were given a send-off by a group of traditional Luo dancers who performed for us a few songs and dances. They even got the girls up off their feet and taught them a few moves! I thought that I could quietly watch from the back of the crowd, but a few of the teachers were quick to pull me up into the middle of the performance and get me dancing as well. Teacher Annette claims that I was accorded the best dancer of the day, but the laughter from the girls tells me otherwise. They promised that they would give me some lessons. ​They day ended with a picnic lunch and lots of playtime in the park. On the way to the museum, the girls sang for the entire duration of the road trip, but on the way back, not a soul made a noise as they all slept, tired from all of the learning that was done that day. 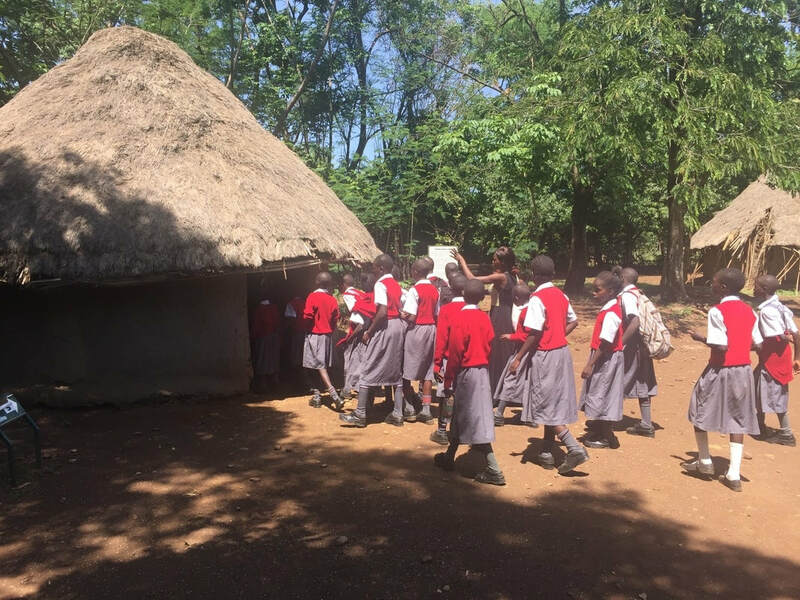 ​The Akili Girls' Preparatory School is a magical place, but it is important that the girls get the opportunity to leave campus in order to learn through experience. On this field trip, I was surrounded by confident girls who were eager to answer any question asked to them by our guides. I was able to witness an unbounded curiosity and an intense desire to learn in each and every one of the Akili girls. They showed to me today, and to the world, that they are not just receiving an education at Akili, but they are also being instilled with pride, self-worth, and passion, that is leading them to engage with the world around them in a productive and positive way.